Hi-Tec Oils Bathurst 6 Hour organisers have released a current entry list for next year’s race which features 56 cars. Nearly half the field is spread across classes A1 (extreme performance forced induction) and A2 (extreme performance naturally aspirated), which feature 19 and 8 cars respectively. The total count is one up on the provisional field size at the same time last year. “As the race continues to develop our focus is on attracting new and more current models to the grid, as well as growing the competition across each of the classes,” said Event Director James O’Brien. The race-winning Searle family team has not yet lodged an entry, but the Ford Focus RS which finished runner-up in the hands of Chaz Mostert and Nathan Morcom is set to be on the grid. 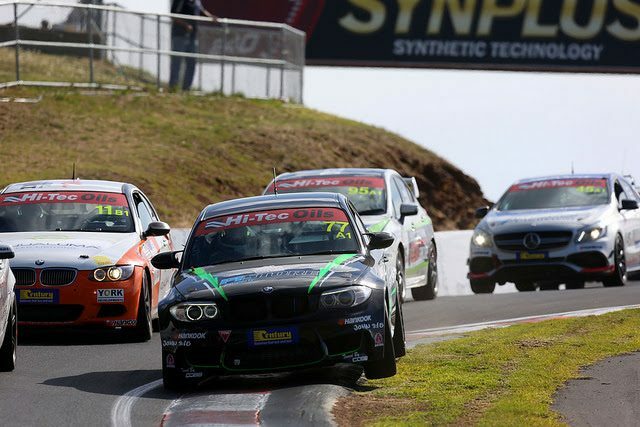 Sherrin Racing has again entered its fearsome BMW M4, which broke qualifying and race lap records earlier this year, while Trevor Keene has entered a new Volkswagen Golf R in class B1. Entries close on February 23, with the race weekend held across March 30-April 1.